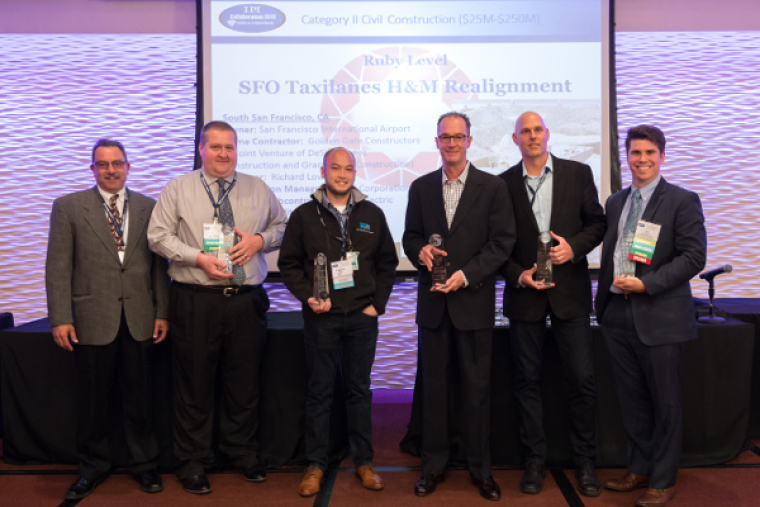 On Monday, February 25th, Oracle presented Austin-Webcor an Award for commercial achievements using Oracle Aconex on the San Francisco International Airport (SFO) Terminal 1 Boarding Area B project. 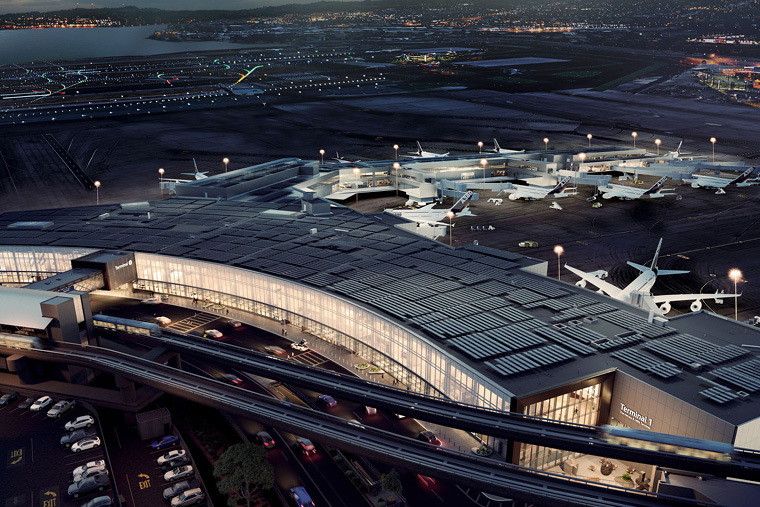 Artfully constructed inside a 1960s-era hangar at San Francisco International Airport (SFO), the 36,000-square-foot Big Room is a workspace for approximately 200 architects, contractors, and engineers planning the Terminal 1 Boarding Area B redevelopment project. 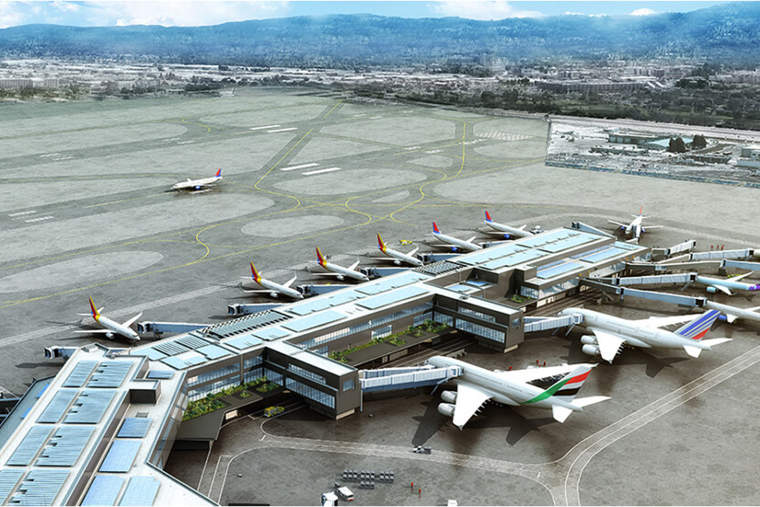 The SFO Taxilanes H and M (H&M) project relocated and renamed two taxilanes to facilitate construction of the new Boarding Area B (BAB) at SFO. 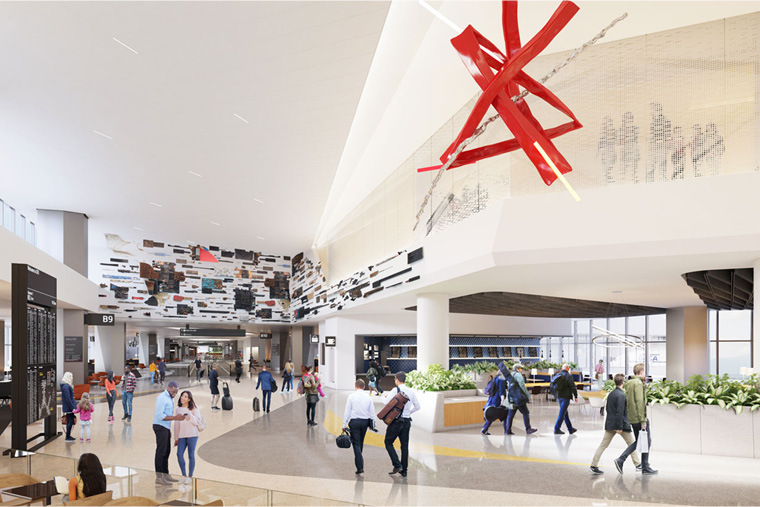 San Francisco International Airport has revealed the first images of its Terminal 1 renovation project, which is to be completed by 2022. As San Francisco International Airport's new Terminal 1 starts to take shape, it's looking increasingly likely that it will get a much more famous name. 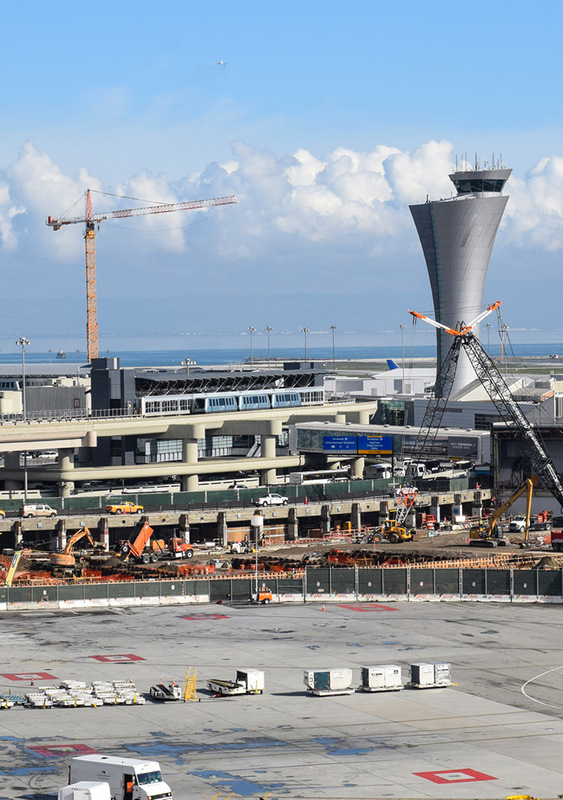 Check out this cool panoramic photo of the work taking place at the Austin-Webcor joint venture on the San Francisco International Airport (SFO) - Terminal One Boarding Area B redevelopment project! 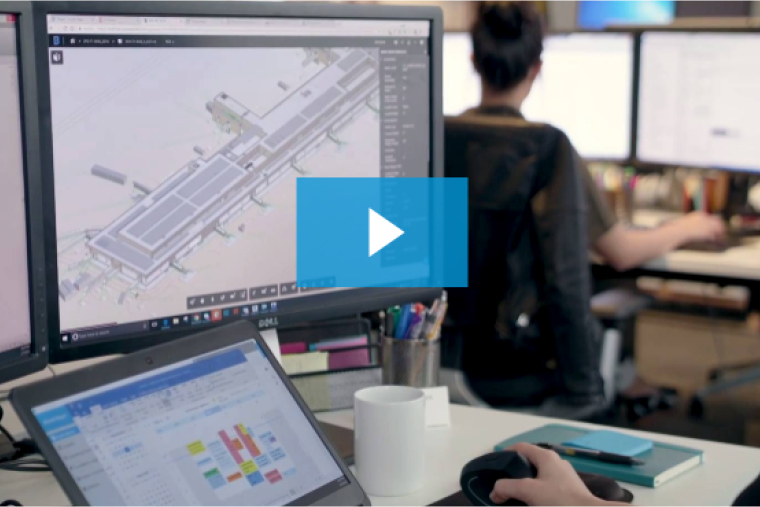 Read about the San Francisco International Airport Terminal 1 Redevelopment and the collaborative environment making it happen. 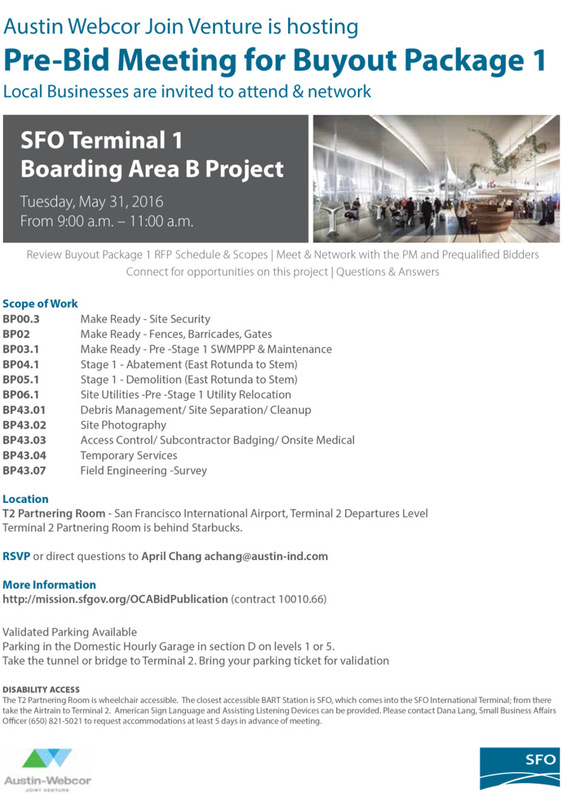 The SFO Terminal One – Boarding Area B renovation and redevelopment project officially broke ground recently. 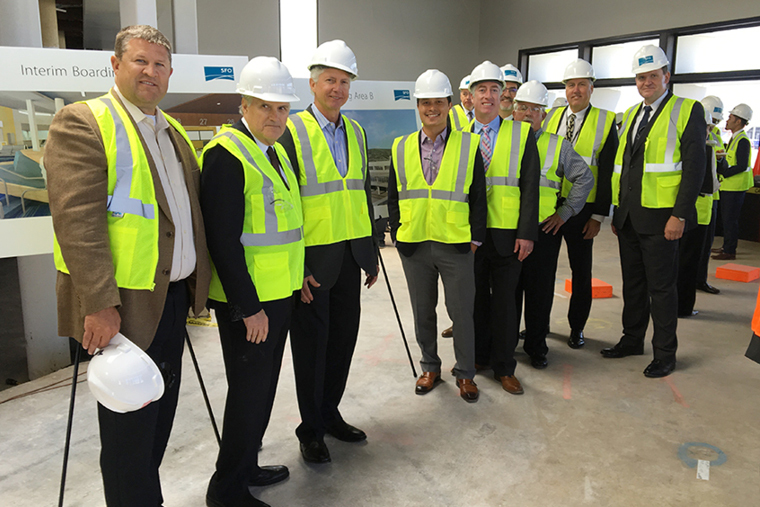 Read more about the design-build of this project in the links below. Click on the image to see the full size flyer. 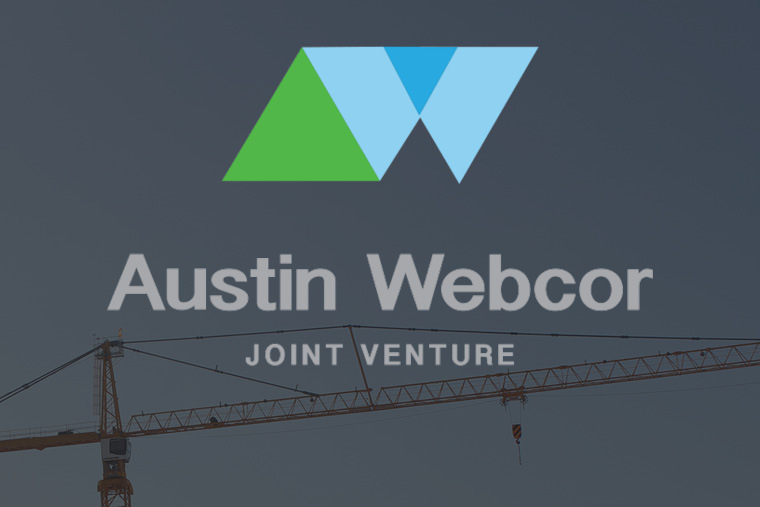 The Austin-Webcor joint venture has been awarded the Terminal 1 Boarding Area B Reconstruction Project at San Francisco International Airport. 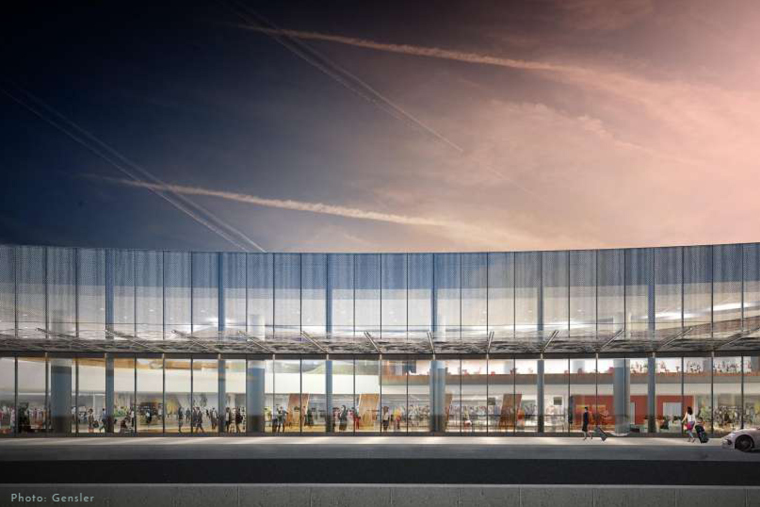 As part of the Terminal 1 Redevelopment, the design-build delivery of Boarding area B will consist of 24 new gates and related facilities totaling 340,000 square feet.